As look upstream at the New River the water looks very cold. The green of spring and summer is nothing more than a fond memory in a collection happy summers. The pop of Fall Colors has faded to a reddish brown. I have listened to and read multiple stories of fishing at Fayette Station. Some tell me that they have caught the biggest fish ever in the frigid waters while others say the fish were small but plentiful. After all the fish fish tales I have come to the inevitable conclusion that the real catch was time with loved ones. Parents and children, children and grandparents and all the best friends gather in this spot to try for the one that got away. I suppose that wiley rascal is still out there hiding in some deep eddy of new river taunting fishermen by tugging on lines and stealing bait. That’s it’s purpose in life. To entice us out away from the electronic devices or whatever is on T.V. to cast a line in the water and spend time with someone special. The cold weather if late Fall and early Winter always draws my imagination to the Pleistocene era. I can imagine how the lone hunter must have seen his pristine world. He walks through a land untamed by clocks and unnatural restrictions. As he steps out of a thicket his eyes behold the falls for the first time. He is at one with the rhythm of nature as he approaches the edge of the water. He sees the fluid movement of the shadows as they dart around beneath the falls. His feet are in tune with the earth as he raises his Atlatl spear and slowly gets into position. As he casts his stone tipped dart towards the target his eyes never lose focus. There’s no splash as the dart penetrates the fish below the water’s surface. His skills with the weapon are so deft that the rest of the fish are undisturbed until he wades into freezing water to retrieve his meal. Today Blackwater Falls is a popular tourist attraction in West Virginia. A paved path leads to the wooden staircase and there are platforms for taking in the view. However, it’s still easy to imagine that you’re a wild human roaming the wilderness in the distant past as you look down into the Falls. If I concentrate on it I can remember a time before Interstate Highways in my area. Every road was the scenic route and every road was the long way home. Oftentimes the road was a single lane and when you met someone coming from the other direction each would have to move one wheel off of the pavement so that there was enough room to pass. Most of the time people would idle in the middle of the road and have a conversation with their windows down. I can remember being late for appointments because two people sat in the middle of the road for several minutes with traffic backed up behind them on either side. Sometimes it lead to an internal conflict of protocol. Is it more rude to block the road or to interrupt the conversation? Thankfully we now have social media and there’s no need to block traffic for a status update. In the 70s a car was usually large enough to seat 6 adults in relative comfort and quiet drives though the country was a good way to relax. A slow drive through the mountains was rewarded with grand views of the valley below. If the road was remote enough you could spot wildlife on the edge of the forest. Time was more generous then and the slower pace allowed for one to experience life instead of spend it. We tend to think of an open road as a symbol of freedom but I have to wonder if we miss the point when we’re just reaching the next destination as quickly as possible. Hello Friends and thank you for your support of my page. If you have enjoyed the photos or the writings please let me know by commenting and sharing my work on your social media. 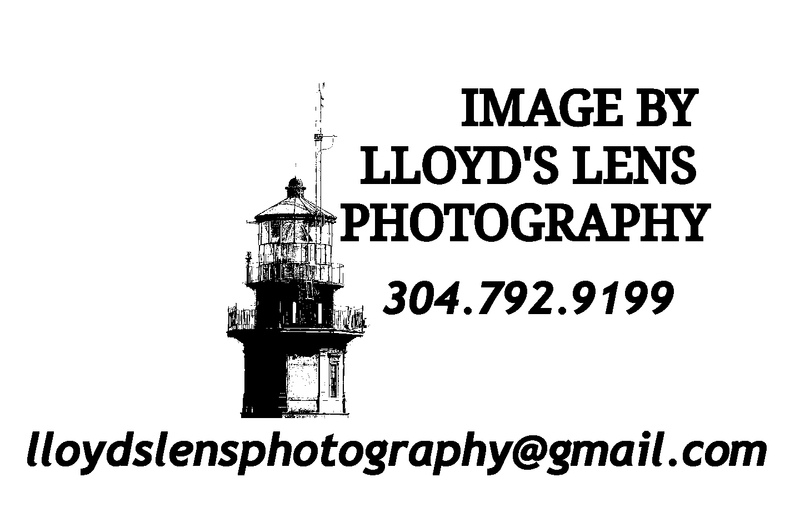 I also want to invite you to Follow Lloyds Lens Photography on Facebook. Recently, I’ve been made aware that many of my posts on Facebook are being buried in the feed. So, if you don’t want to miss a post then you can sign up for email alerts on my website at the bottom of theWelcome Page. Where do you go in your dreams? Are you at home or in some distant world that is alien to your waking self? Are you ever at a crossroads? I’ve read that dreaming about a bridge is symbolic of transition. Dreams about a crossroads is symbolic of making a decision. Do we take the iron ribbon that pulls us straight forward or travel up the mountain and find our way to the bridge? What if there’s a third choice? A pathway that’s not obvious. If you look closely at the road into the mountains there’s a sign that indicates it’s the wrong way. But the railway is built for travel by train and since I’m in the Big Blue Truck that route is also an invalid choice. But, just out of frame is another bridge. The real world likes to present us with false choices. We can see where we want to be but there seems to be no way to get there. It’s in these time that we need to step back and change our perspective. It’s very likely that the third option is just outside of our field of vision. Tonight’s bonus Image is titled “The Low Road And The High Road ” and is also available for purchase. I am amazed at the velocity of time. The scene in tonight’s feature image is only one week ago. While I have not been to same spot twice in the past week I can tell by trees and leaves in my yard that the fall colors are almost gone. As I look up to the tops of the mountains I can see the bare branches. It’s as if the older trees are stretching their arms with a sleepy yawn and preparing for the winter’s hibernation. The reds and oranges and yellow are fading to browns and tans. I can see the squirrels in the tops as they run from branch to branch patrolling their borders. A young friend commented today that she wished this day would end as she took on one difficult task after another. I heard the voice of every elder in my life coming out of my throat as I replied to her by advising her not to wish time away. The special moments of life are fleeting indeed. And entire season (natural season, not calendar season) has, passed before my eyes in just a few days. Like drops of water they add up and before you know it there’s a sea of moments that are forever gone. A quiet country road in the Appalachian Mountains is incomplete without at least one Mail Pouch Tobacco Barn. The once large West Virginia based tobacco company would paint your barn for free. Of course, there was a catch. They got to paint an add on at least one side of the barn. But it was a good deal for the farmer and cows are not known to be concerned about the color of their barn. There was a second Mail Pouch Tobacco Barn just a few miles away from the one in tonight’s feature image but it finally sucome to the ravages of time. These old barns are really a form of endangered history. The one pictured here has been a challenge to even get a decent picture of. It’s in a place where you cannot pull over and it’s in a blind curve to boot. I have driven by multiple times with my camera hanging out of the window and snapping photos as I pass. After a few years of practice shots I finally got one that I could publish. I guess that determination eventually pays off. Hello Friends and thank you for your support of my page. If you have enjoyed the photos or the writings please let me know by commenting and sharing my work on your social media. I also want to invite you to Follow Lloyds Lens Photography on Facebook. Recently, I’ve been made aware that many of my posts on Facebook are being buried in the feed. So, if you don’t want to miss a post then you can sign up for email alerts on my website at the bottom of the Welcome Page.